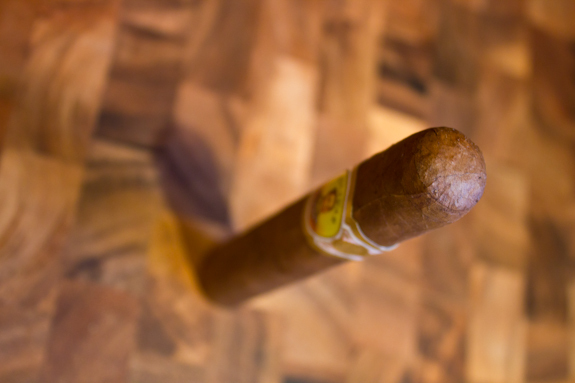 So I’m reaching into my humidor today to dig up another Cuban for your viewing enjoyment. I bought a box of these a while back, probably about 2 years ago, but I couldn’t seem to find the box to pinpoint the exact date. 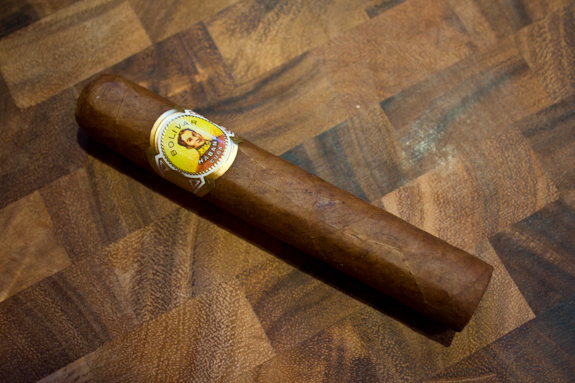 I believe they are from 2010 or so, and it is none other than the Bolivar Royal Corona. I’m sure most of our readers have heard of this name before, if not in the Cuban variety than you may know of the Dominican variety. It’s made by General Cigar but they only seem to have 1 blend under that name, definitely not as popular as many others. 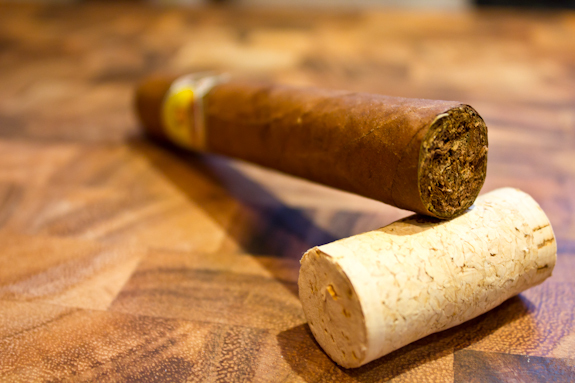 The Cuban brand has been around for a long date dating it’s founding back to 1901! 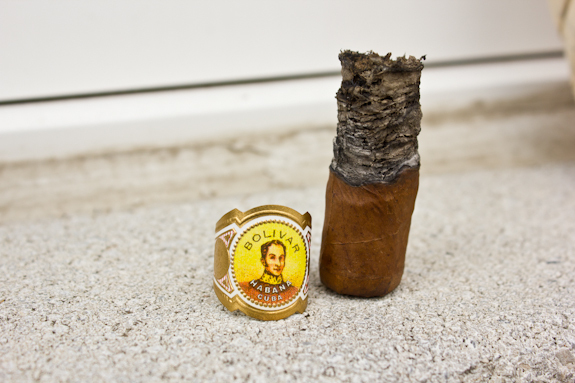 One interesting thing about the early days of Bolivar was that they actually produced the smallest cigar in the world, measuring in at only 1.875 x 20. Now that’s a real quick smoke, even smaller than today’s cigarettes! Another interesting thing I discovered in my research is that this cigar, the Royal Corona, was actually called a “Charles” until it’s name was changed in 1973. 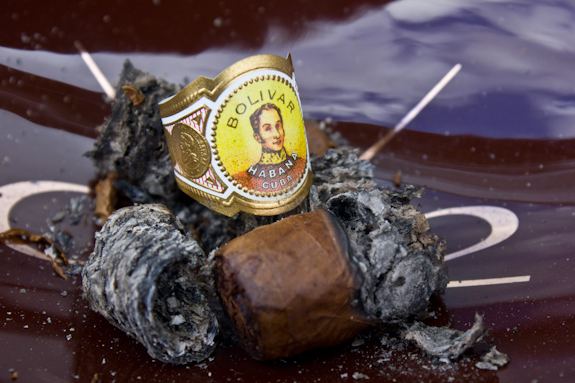 The Royal Corona vitola by Bolivar is hardly a corona at all. It’s pretty much a robusto but I assume the different name it because it’s actually 4.875 inches long instead of the standard 5 inches. The ring gauge holds up at 50. 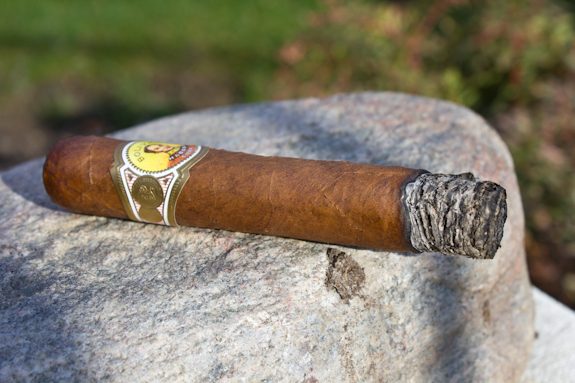 So let’s jump right in and see what the Bolivar Royal Corona has in store for us today! •	Around the halfway mark that initial licorice flavor is making an appearance and the coffee is developing nicely, sorta like licorice flavored coffee! Not too much negative I can say after burning through this stick. I know it had a couple years of age on it but I don’t remember what the box date was. All I can say is I wish this wasn’t my last one. The price is a little high for a robusto size even by Cuban standards but it’s still not as high as a Cohiba or Trinidad. 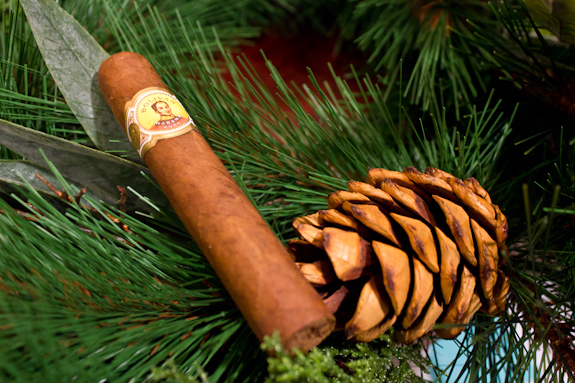 The flavors definitely stand out as being different from some typical Cubans with the balanced mix of cedar, coffee, spices and earth. 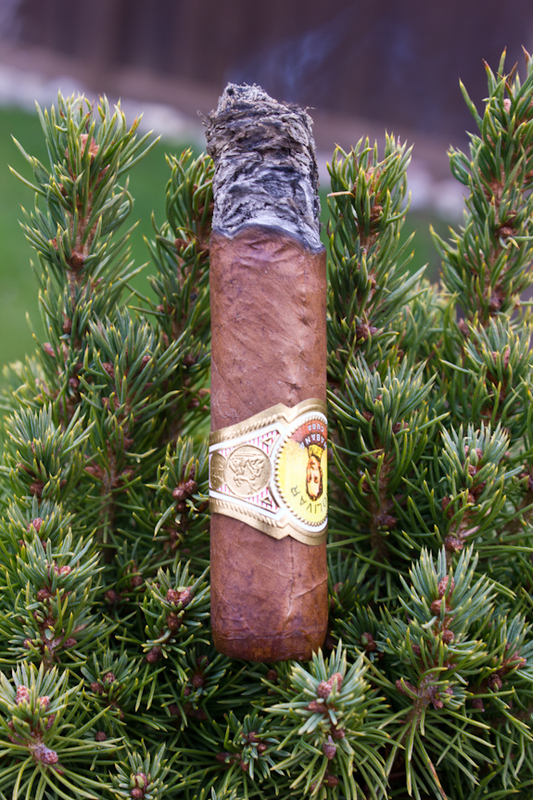 The creaminess and balance on the Bolivar Royal Corona is what really sold it for me. 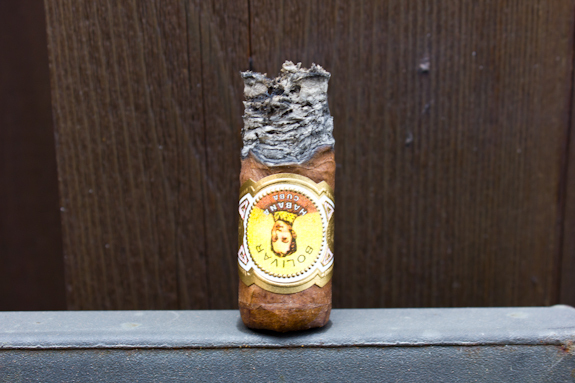 If you are looking for a smooth and creamy Cuban this is definitely a winner and worth seeking out. Today’s brew is an Amber from a brewery located about an hour or so away. The area is actually known for it’s ski resort which has a bunch of tiny, kid friendly runs. They also make a decent brunch there… but how do they do with beer? Pretty good as a matter of fact! I go through a lot of their Dark Ale but this was the first Amber I have found. It was smooth, clean and fairly light with some nice malty notes and a touch of bitterness. It went quite nicely with the medium notes of the Bolivar, a coffee would have actually gone very well here too! Great review Daniel! I have had one before but was a while ago and don’t remember much about it…wanted to give it another try. 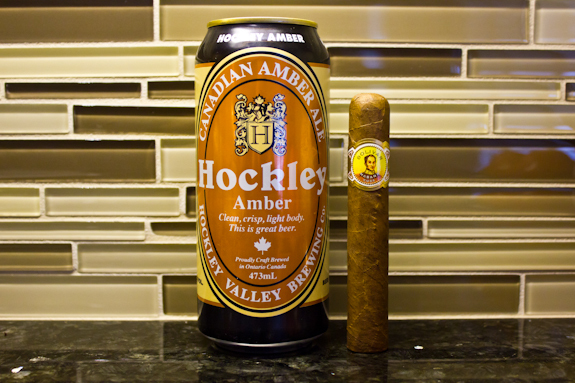 Smoked a Hoyo Des Dieux yesterday at Marty’s…very enjoyable…will try the Bolivar when I am in next. This is an amazing stick. I can only imagine how it was with some age on it. I dig the Boli’s. The Coronas Juniors are great too!